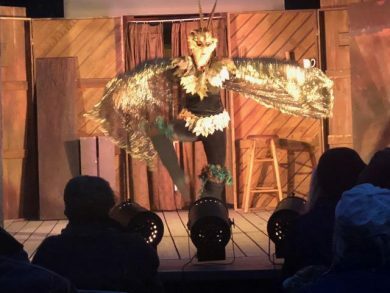 The Fire in the Wood, an original play presented by the Unicorn Theatre, will open a six performance run on Friday, June 1st, at the Cherry Hall Theater, Carmel. Written by Peter Thabit Jones and directed by Carey Crockett, the play looks into the life and influence of artist and sculptor Edmund Kara. 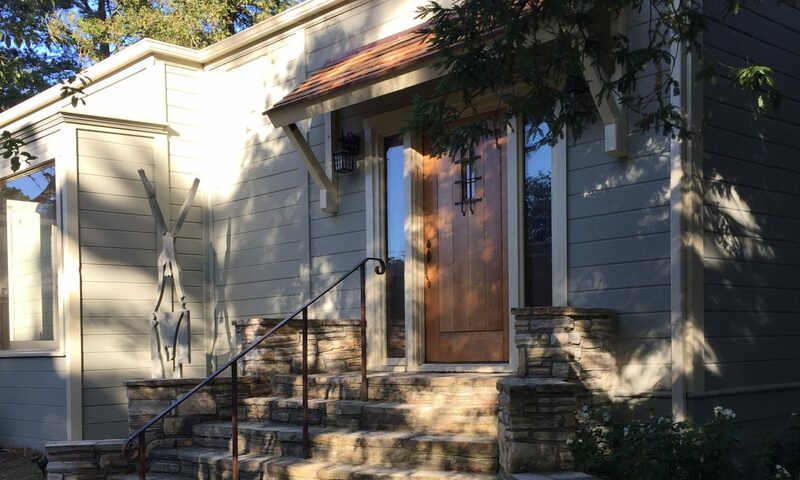 The production portrays Edmund’s relationship to his art and to the dramatic Big Sur Coast. Edmund, the sculptor of the Phoenix Bird at Nepenthe and the bust of Elizabeth Taylor for the movie “The Sandpiper,” turned his back on fame and fortune, devoting himself instead to what his soul might release into powerful archetypes from the massive shapes of wood that presented themselves to him. Juxtaposing poetry, prose, visual arts, music. dance, from the “Phoenix Bird” rising at Nepenthe to Hollywood . . . and rolling sounds of wind and sea, Thabit Jones brings us the full measure of Edmund’s life. Following each performance, writer Peter Thabit Jones and director Carey Crockett will hold a question and answer session with the audience. 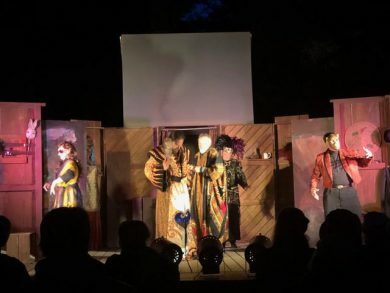 The play stars Skip Kadish as the ghost of Edmund Kara, Robert Blaine Yeats as young Edmund; and features Robert Colter, Kathleen Baer, Flora Anderson, and Vivian Danzer. Music by Thomas Burks. 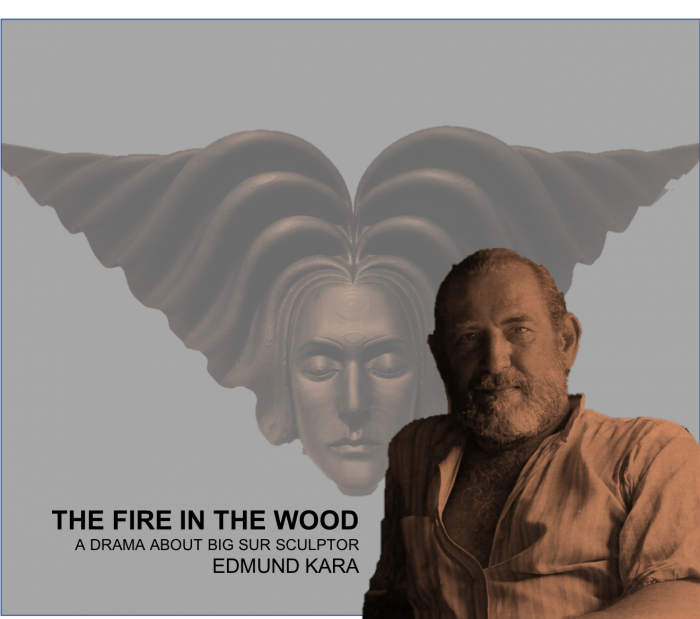 The Cherry Center’s gallery will feature works by Edmund Kara from May 18th to June 16th, 2018, with drawings by Carolyn Mary Kleefeld that are inspired by Edmund and are included in the play. For more information about the exhibition, please click here. Tickets are $20, available by calling (831) 624-7491 or online at brownpapertickets.com. Friday (June 1st, 8th), Saturday (June 2nd, 9th), and Sunday (June 3rd, 10th). Friday and Saturday performances begin at 7:30 p.m., Sunday at 2:00 p.m.